Functions are predefined formulas provided by FileMaker Pro Advanced, which you can use in calculations to return a wide range of useful information. You can manipulate text, find out what device your user is on, or even make logical if/then branches, all within a calculation. You’ll use date functions to set up a rolling list of appointments coming up in the next week. Then you’ll write a script that uses multiple calculations to pre-populate an email template, so users can remind clients of their upcoming appointments. Functions super-charge your calculations. Use these predefined formulas and let FileMaker do the heavy lifting for you! Many business rules require conditional logic: “If this, then do that; otherwise calculate this other way.” Coding this logic will make your app reflect your business, saving users from having to make those leaps on their own. 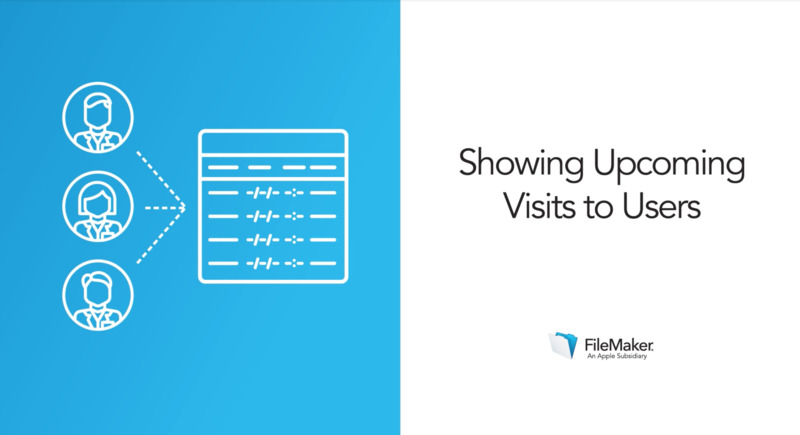 Create a list view for visits, and a script using a calculation that will always find the upcoming week’s visits, every time it is run. 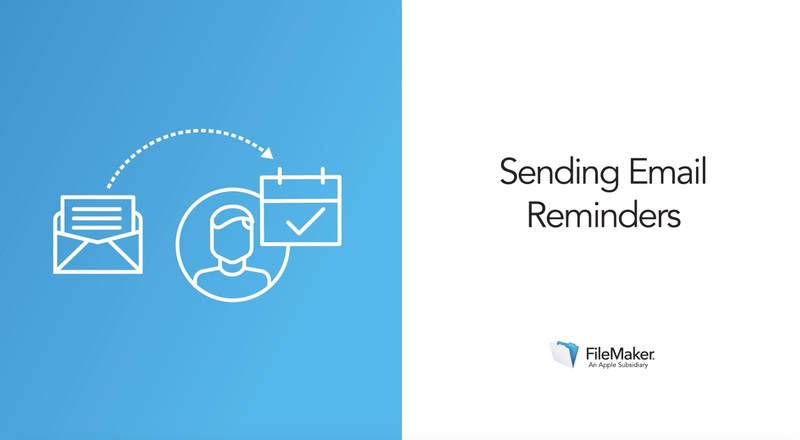 Use calculations in the Send Email script step to auto-populate an email reminder with the client’s information, including the number of days until their visit.